THIS SATURDAY is an important day! 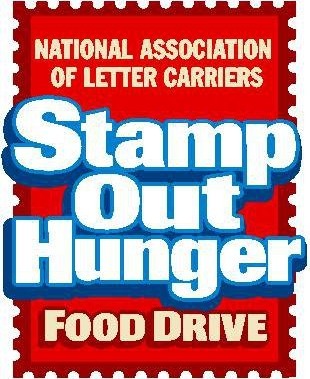 Saturday May 12, 2012 is the annual Stamp Out Hunger campaign facilitated by the National Association of Letter Carriers. Every year the Letter Carriers support efforts to end hunger all across the country by picking up non-perishable food items that people like you and I leave out next to our mailboxes. The Letter Carriers pick up all this donated food on their regular routes one Saturday a year. They then take the donated food and give it to local food assistance agencies. Here in the Rogue Valley the donated food will be given to ACCESS. Some information about hunger in the US according to agencies such as the USDA Food Report 2010 and Feeding America. There are over 500,000 Oregonians suffering from food insecurity. 1 in 7 Americans are currently using SNAP (Supplement Nutrition Assistance Program-formerly known as food stamps). 1 in 8 Americans is currently receiving assistance from Feeding America. 1 in 6 Americans are facing hunger and are below the poverty level. It is a common misconception that the people that need food are unemployed or lazy. The problem isn’t that people are unemployed or lazy. The problem is that people, even when they are working, don’t make enough money to cover their minimal living expenses such as housing costs, fuel and energy costs, and still have enough left over to afford food. People facing hunger often skip meals or go for entire days without eating. This Saturday May 12, 2012 as you are hitting up the grocery store to pick up food for your lovely Sunday Mother’s Day Brunch add a few extra non-perishables to your cart to donate to the Letter Carriers Food Drive. Please do NOT donate items in glass containers (no glass juice bottles, no glass pasta sauces) or items that are expired. Place your items in a bag next to your mailbox on Saturday morning and your letter carrier will pick it up and make sure it gets to your local food assistance organization. Make your mom proud this Mother’s Day! 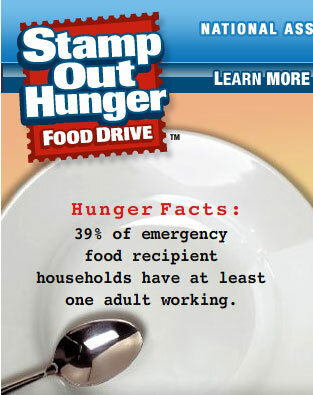 Donate food, the ultimate expression of love, to the Letter Carriers annual Stamp Out Hunger event! This entry was posted on May 8, 2012 by Corrie Beebe in causes, charities, food. 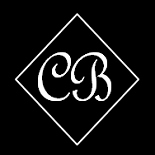 Recent reviews by Corrie B.